Our Eva twin single bed takes only limited space to accommodate two people. 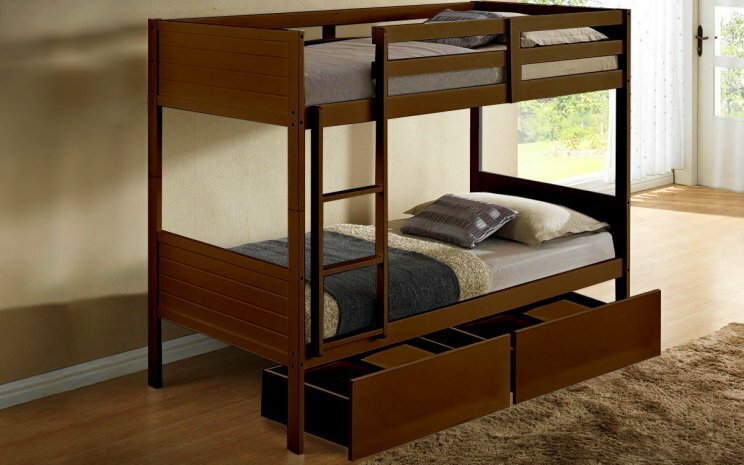 The sturdy construction is made of solid pine wood to ensure the safety of your children and guests. 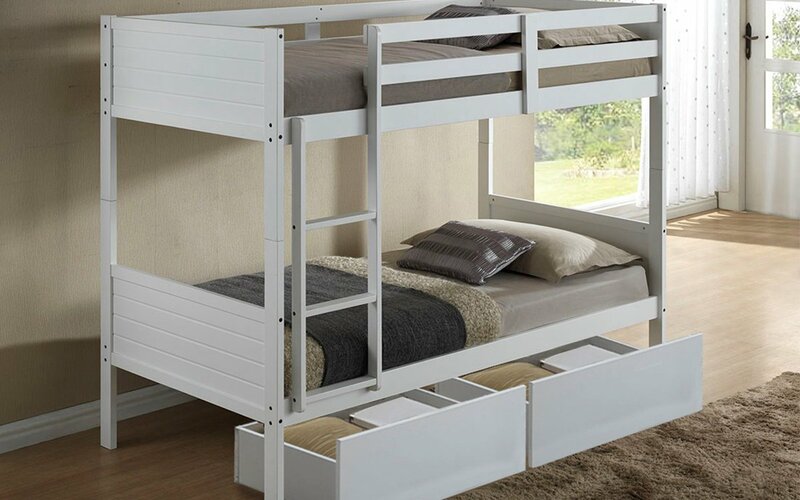 The strong slat bases are specially designed with strength in mind to firmly secure the mattresses. 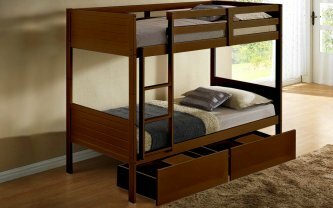 Only taking up the space of a single bed, the bunk bed provides accommodation for two people as well as bottom drawers for storage.